Garzón, catapulted to international fame when he ordered the arrest of former Chilean dictator Augusto Pinochet in 1998, is considered today one of the most effective and imaginative thinkers in international human rights law, having defended the victims of dictatorial regimes in Chile, Argentina, and Spain. ALBA stands in solidarity with Garzón, who, like the men and women who sacrificed so greatly to support Republican Spain in the 1930s, remains steadfastly committed to social and political justice, the exposure of the criminal nature of fascism in Spain, and the struggle for justice and dignity for its victims. The granting of the ALBA-Puffin award, which includes a cash gift of $100,000 to Garzón, underscores ALBA’s legacy and mission while simultaneously echoing the sentiment of other human rights organizations that have expressed unequivocal support for the embattled magistrate, including Human Rights Watch and the Robert F. Kennedy Center, Amnesty International, the International Federation for Human Rights, and the World Organization Against Torture. A pre-event benefit (press release here) will feature a question-and-answer session and the opportunity to meet Judge Garzón over a light lunch. Judge Garzón will be interviewed by Jonathan Turley, Shapiro Professor of Public Interest Law at George Washington University, the on-air legal analyst for CBS-News, NBC-News, and MSNBC, as well as a frequent guest on Sunday morning news talk shows. Special guests include Perry Rosenstein, President of the Puffin Foundation; Larry Cox, Executive Director of Amnesty International USA; and Michael Ratner, President of the Center for Constitutional Rights. The honorary committee for this benefit (now in formation) includes Harry Belafonte, Mike Farrell and Susan Sarandon. So grateful this is happening! There is such a feeling of injustice and impotence when faced with this right wing judicial court in Spain! Thank you to ALBA and Puffin Foundation !! 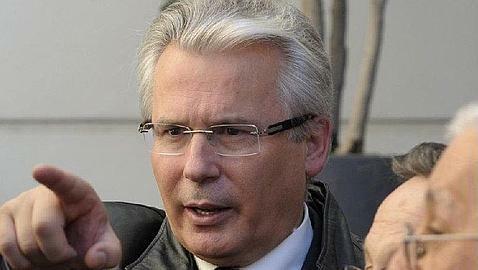 I think that Baltasar Garzón has touched direct in the target of PP party(in the Gourtel case) and ,of course, in the reminiscences of the latent franquim( in the case of interpretation of Historic Memory law) within the espanish political right,which extends its tentacles to the top of the spanish judicial system. It is very likely that the authors of the crimes in the Franco’s side would not be on trial, because almost all are not alive any more, and thjose beiing still alive are too old. Judge Garzon’s action was mainly made to discover what actually happened in the fascist side, more than 70 years ago. The troubles came for him because in the Spanish Justice, but also in many fields in Spanish administration, despite Franco is dead for more than 25 years, the fascists hold the power and they do not want the victim’s relatives nor the world know the truth about what happened. Other recent decisions from the Spanish Supreme Court (concerning in particular Catalonia and the Bask county) confirm the justice’s fascist attitude. The heroism of Judge Garzon — and more-so his recent persecution — is as much about the current demons of bush, cheney, yoo, obama, etc… as it is about Franco and Pinochet. He attempted to apply the principles of Nuremberg and Geneva in the way they were intended. Something that has been rendered “quaint and obsolete” in the once-great nation that led the effort to forge them.